(St. Petersburg, FL) The NFL is partnering with the historic East-West Shrine Game to increase development opportunities for coaches and draft-eligible players, the league announced today. The NFL will supply the coaching staffs for the two teams from among current league assistant coaches whose teams do not advance to the playoffs. The NFL will also provide the game officials for the contest, which features some of college football’s best prospects. 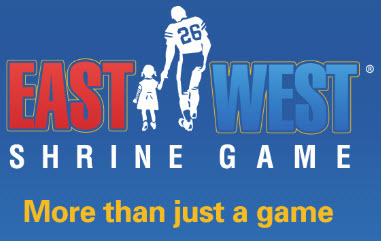 The 92nd annual East-West Shrine Game will kick off at 3 p.m. ET on Saturday, January 21, from Tropicana Field in St. Petersburg, Florida and be televised live on NFL Network. At the conclusion of the NFL regular season, teams will nominate deserving assistant coaches who will be reviewed by a panel that includes NFL Football Operations staff, East-West Shrine Game leadership and two members of the NFL’s General Managers Advisory Committee. Once the head coaches are selected, each head coach will then fill his 12-person staff from among other NFL assistant coaches nominated by the clubs, a key job requirement for head coaches at every level of the sport. 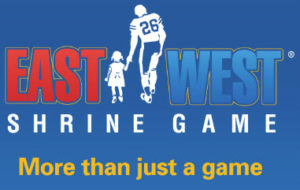 One of the most popular college all-star games has been the East West Shrine Game which will be played Saturday, January 23rd at Tropicana Field in St. Petersburg, FL, kickoff at 4PM ET. For many years the game was played in California. The past few years it has been played in Florida, first in Orlando and now in St. Petersburg at the Trop. NFL Network will broadcast the game featuring collegiate all stars from the U.S. and Canada. Charlie Weis will coach the East squad, June Jones will coach the West squad. Click here for more information on the game. dougmilesmedia will provide coverage during the game via twitter, facebook and Instagram and a game story here on this website.